English Heritage has released an update on two major projects to inject new life into two of its popular attractions – in north Yorkshire and Shropshire. For those planning a visit to the haunting remains of Whitby Abbey next spring, there’s plenty to get excited about. English Heritage is embarking on a £1.6 million improvement project at the attraction, best known as the fictional landing place for Bram Stoker’s Count Dracula. There’ll be a newly designed museum, upgrades to the visitor shop and a new coffee shop next spring as well as landscaping on the site, including extra trees in the courtyard. In the courtyard, herbs including sage, dill and lavender will be planted to give off the scent of a medieval monastic infirmary, encouraging visitors to pause and enjoy the views of the dramatic ruins. The shop in the visitor centre, which was a grand banqueting hall in the 17th century, will be extended to allow a better flow for groups and help to prevent queues at peak times. At the Abbey’s north entrance at the top of the ‘199 steps’ leading from the fishing village of Whitby, a lodge will become a coffee shop, selling tea, coffee, tray-bakes, sandwiches and ice-creams. The new museum space and exhibition will draw on the atmosphere of the Abbey to create a sense of drama for groups to sink their teeth into. Beautifully-lit displays will house rare and internationally significant collection objects, spanning from the early Bronze Age through to the occupation of the Cholmley family in the late 1600s. Free pre-booked 20 minute group tours are available, covering the Abbey’s history from dinosaurs to Dracula and also medieval mead tasting sessions (discounts for groups) are available and must be pre-booked. Groups can also unravel the mystique surrounding the site with a free audio guide (subject to availability). Work is due to start in November with the new developments ready for groups to enjoy next spring. Close to Ludlow the castle is one of the finest and best-preserved fortified manor houses in England. A 10-month project has just completed making it more hands on. Pictured: A new garden project at Stokesay Castle will be completed by spring 2019. Groups can now enjoy a ‘tactile’ experience - climbing stairs, handling objects, and sitting on replica furniture - to gain an insight into the purpose of the rooms within the unspoilt medieval building and to find out about the people who once lived within its walls. This autumn will also see a new garden project begin at the castle for groups to enjoy in the 2019 season. Free coach parking spaces are 250 metres from the entrance and free audio guides area available. Pre-booked groups in the Stokesay Tea Room can benefit from a free lunch for the coach driver and tour leaders (terms and conditions apply) and their members can receive a 10% discount. The offer is available for pre-booked groups of 11 or more and must be used on the day of the visit. For more information or to book, contact the site. Groups of 11 or more will receive a discount at English Heritage properties and events. One tour leader and one coach driver are admitted free with each group (and do not count towards group numbers). Free familiarisation visits can be arranged for the Travel Trade. Special themed tours are available for pre-booked groups at many properties. Main image: The haunting remains of Whitby Abbey. 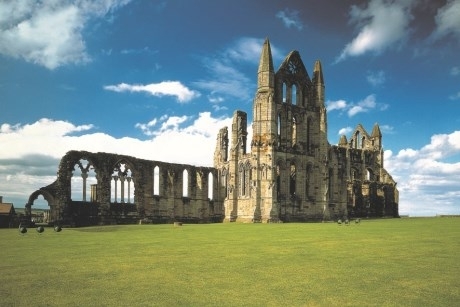 Groups visiting the haunting remains of Whitby Abbey in North Yorkshire can now benefit from a newly designed museum, a new coffee shop and a bigger gift shop. Ticket operator, See Tickets, has partnered with The Houses of Parliament to offer group ticket packages. Keeley Rodgers joined group travel organisers for a two-day trip taking in some of the many highlights in Salisbury and the surrounding area.